A pilot said he saw a shining light, which changed colors, and may have been from a star or a meteorite. 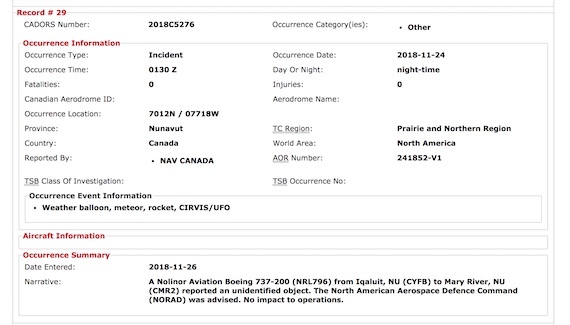 This report to Transport Canada’s Civil Aviation Daily Occurrence Reporting System describes what the pilots saw on Nov. 24 as they approached the Mary River iron mine in northern Baffin Island. 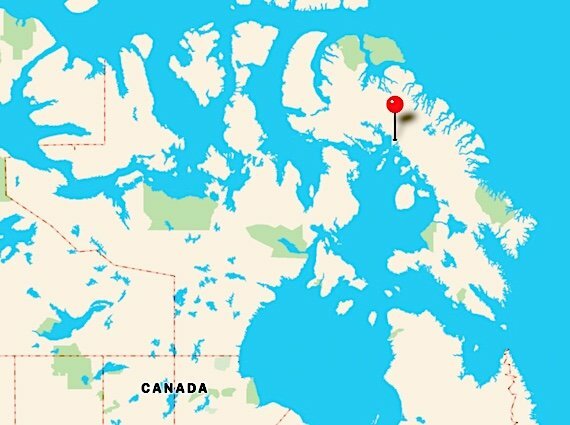 “It came up on our left hand side (rapidly veered) to the north, we saw a bright light and it just disappeared at a very high speed … we were just wondering. We didn’t think it was a likely collision course … [just wondering] what it could be,” said a recording of a pilot with air traffic controllers in Shannon, Ireland.